The reference off ramp of the A1 is Orte, either from the north or south, then continue to Terni / Spoleto (Via Flaminia) and follow the signs to Cascia. Then, follow the signs to Avendita. 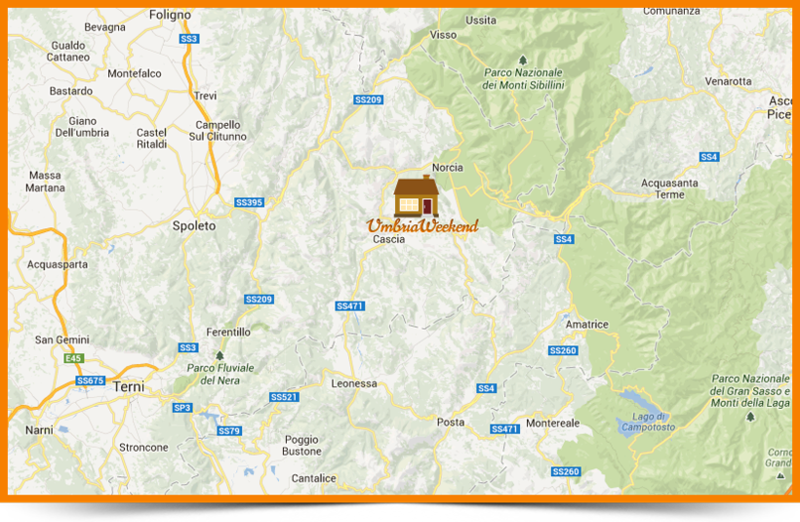 The nearest railway station is Spoleto. Once in Spoleto, take the bus up to Avendita (be careful, routes vary according to the season). The nearest airports are Sant'Egidio Airport in Perugia and Leonardo Da Vinci airport in Fiumicino (Rome).